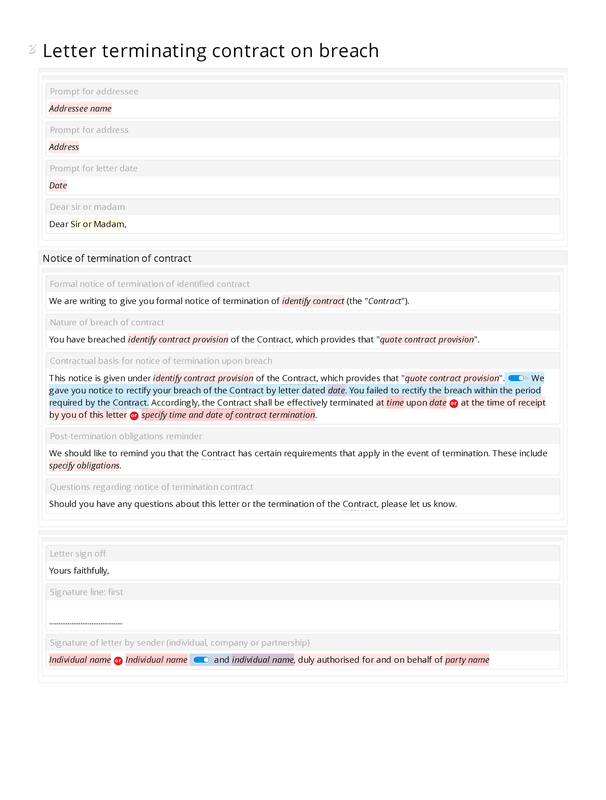 This letter template is designed to assist in the production of a letter terminating a contract, where a breach of contract has given rise to the right of termination. The termination (or attempted termination) of a contract upon breach may give rise to liability, and we therefore recommend that you take specialist legal advice before terminating (or attempting to terminate) a contract. Formal notice of termination of identified contract; nature of breach of contract; contractual basis for notice of termination upon breach; post-termination obligations reminder; questions regarding notice of termination contract.